SV4 is part of SoftVision IS ™ is the Leader Company in South America Internet Services Provider for more than 12 years. Feel free to check our Services and to Contact Us. 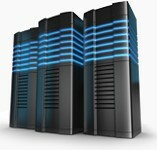 South America Dedicated Managed Servers Linux and Windows. Domain registration in South America countries. Our Company can register domains names from: Argentina, Brazil, Uruguay, Chile, Ecuador, Paraguay and others. Webdesign and logo design maked by professionals. Best Services 100% Warranty or your money back.